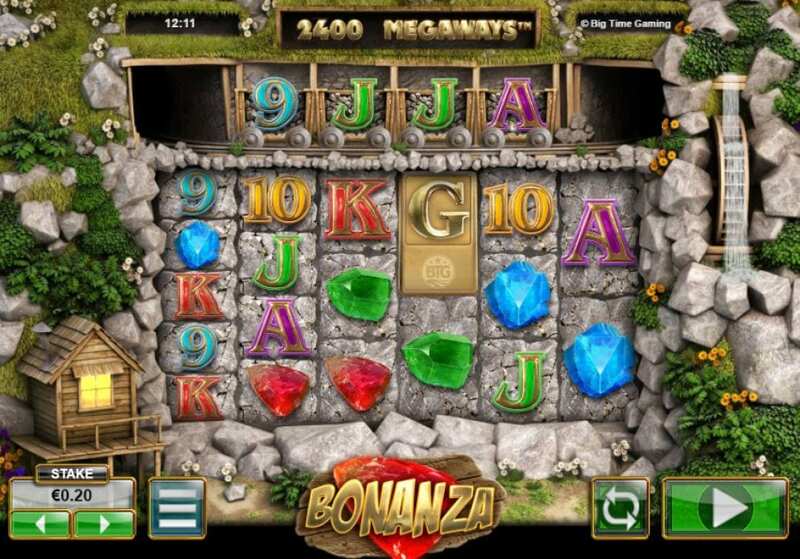 Bonanza slots online, powered by Big Time Gaming not only sounds epic but is epic. The 3D imagery, extravagant graphics, and Free Spins Bonus are the perfect recipes for a successful slot. The reaction feature provides constant action and wins and more importantly, it gives you a better chance of triggering the Free Spins. The game has a 6-reel setup with collapsing reels and a 4-symbol cart above reels 2, 3, 4 and 5 which keeps producing winning combinations. This game has the potential to overwhelm you, but if the wins keep coming, let the chaos ensue. Find slot games here by Big Time Gaming. The base game is a big part of why the slot is so popular as there are thousands of mega ways to win. 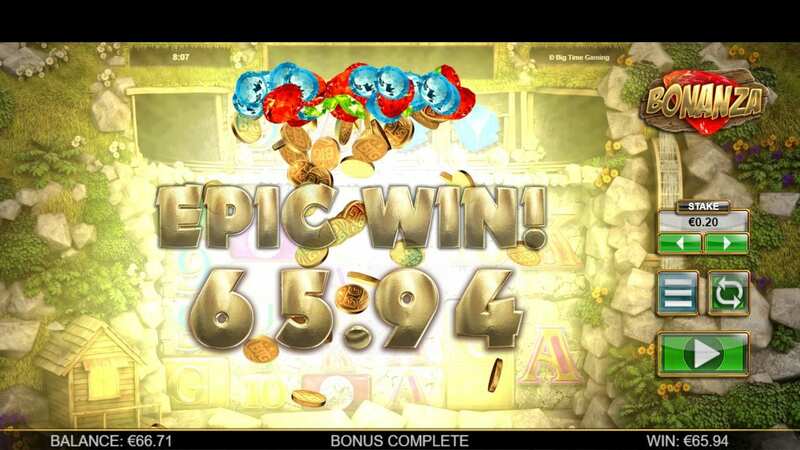 Without hitting the GOLD Free Spins, you can easily hit big pay-outs from the lower and medium value symbols. The lower value symbols are standard playing cards, such as: 9, T, J, Q and K. The medium value symbols are made up of: Ace, green, blue and red gems and a diamond. Here's a guide on how to choose the best online video slots! GOLD FREE SPINS – To activate the GOLD FREE SPINS you have to hit the individual letters to spell ‘gold’. If you hit an extra SCATTER then you will receive an additional five spins. Once you’ve triggered the bonus you’ll receive 12 free spins. For every reaction, your multiplier will increase by 1x. CARTS – The CARTS are above reel 2, 3, 4 and 5 and add symbols to the reels to produce more winning combinations. REACTION FEATURE – Every symbol that is part of a winning combination is replaced by new symbols from higher on the select reels, which can lead to more wins. WILDS – The dynamite WILDS substitute for every symbol except the scatter and appear in the carts. The theatrics of Bonanza won’t appeal to everyone, but if you’re a fan of Big Time Gaming then this slot is perfect for you. The array of symbols, reels and reactions give you endless possibilities for cash rewards.